The next section to connect the Asian Garden to the Wildflower Garden is now done. 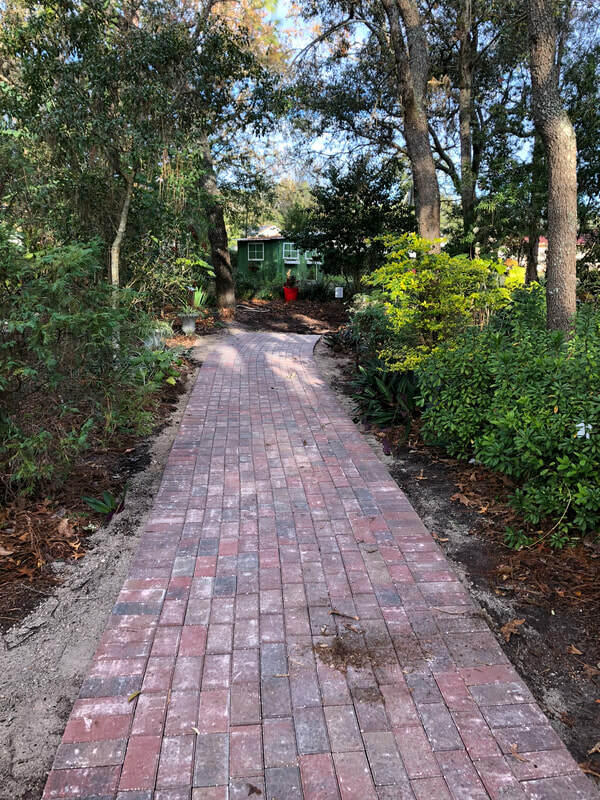 We only have the final section to complete, but that will be a while until we can build up our finances. 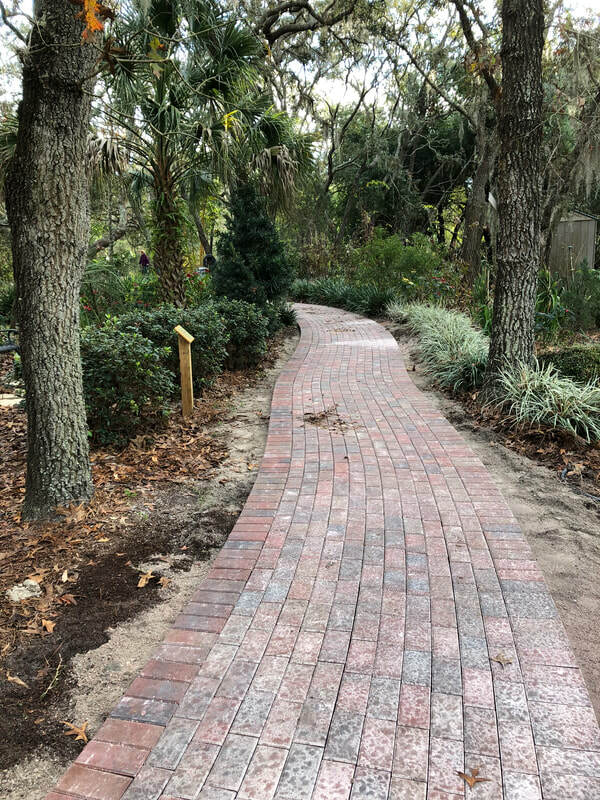 Hopefully this will be complete by the end of this year 2019. 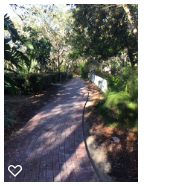 Please enjoy!!! 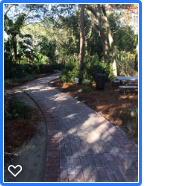 UPDATE.. we have had several more anonymous donors come forward and now have enough to finish the path. 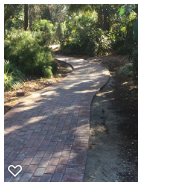 It should be done in the near future, clearing the roots now..
​Another section of the path has been completed through the Bromeliad Garden and behind the Asian Garden making a beautiful entrance for weddings in the Asian Garden. We are so grateful to our donations and wedding dollars for making this new addition. Please remember that we are totally dependent on your generous donations to make these improvements. 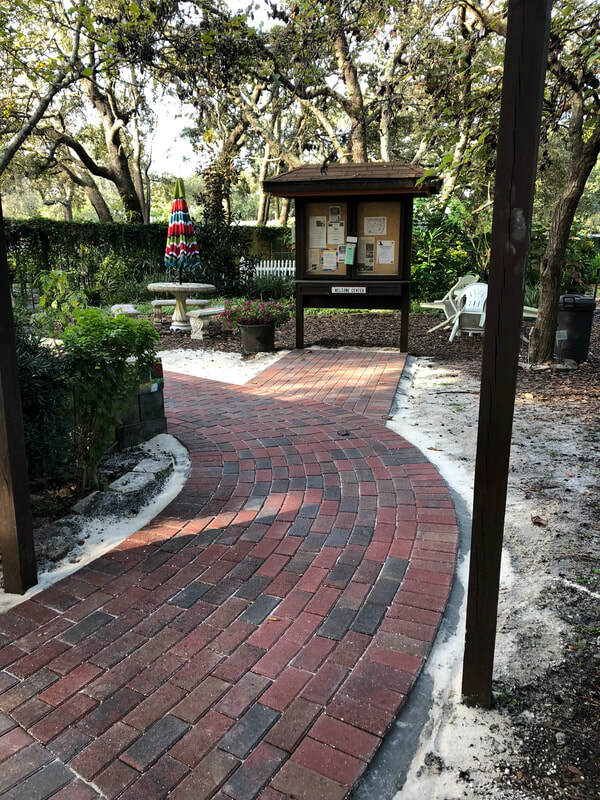 ​After the theft of our donation boxes it is very uplifting to be reminded that there are more good people in the world than bad. 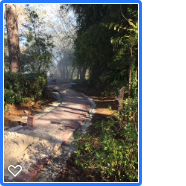 Thank you all who have donated, and don't give up. 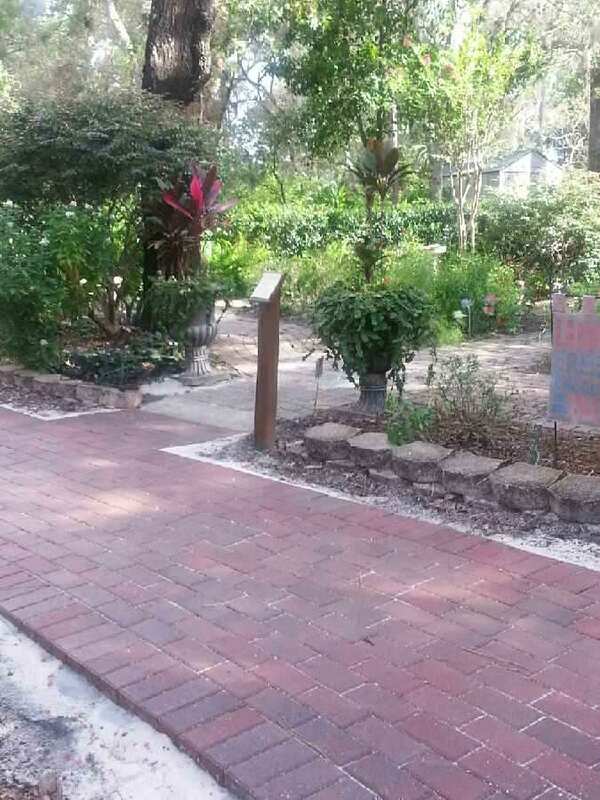 From now on no money will be left in the boxes overnight!!!!!!!!!! 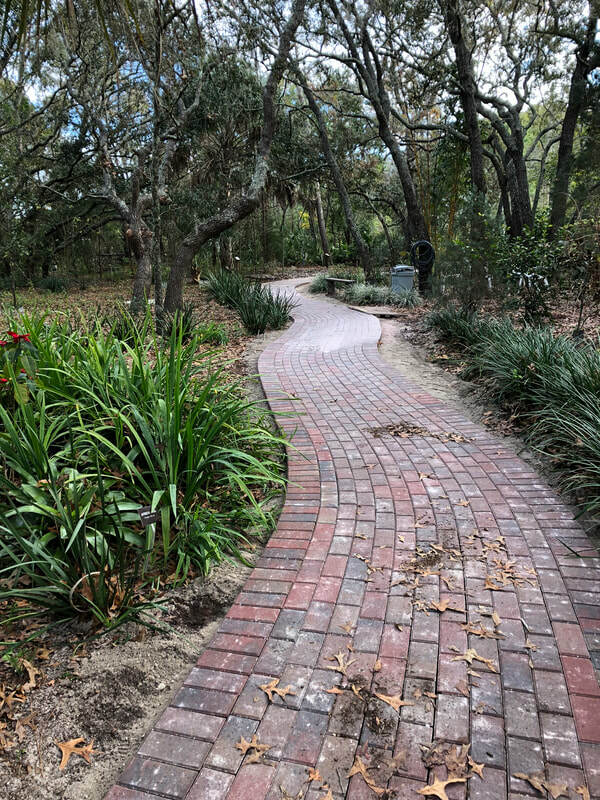 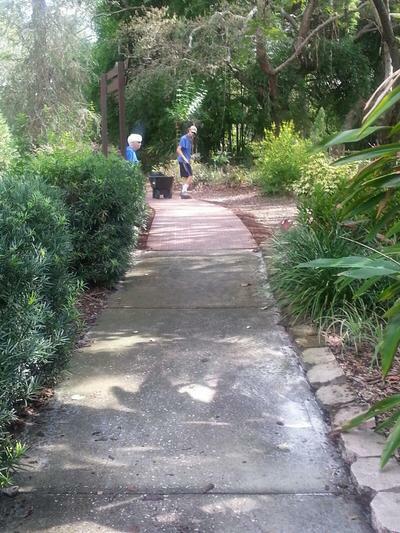 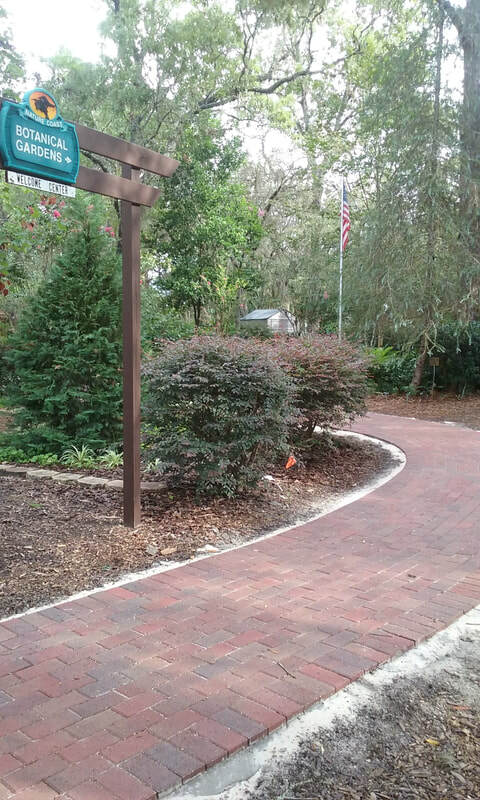 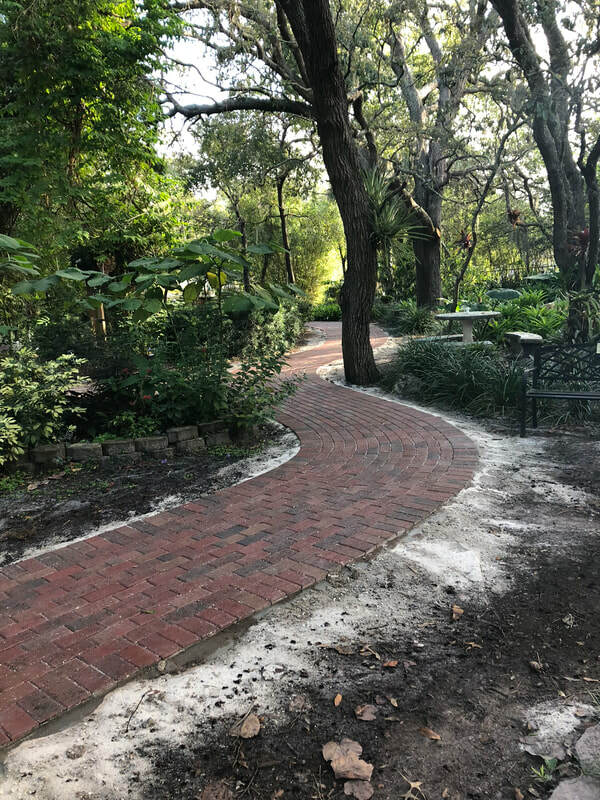 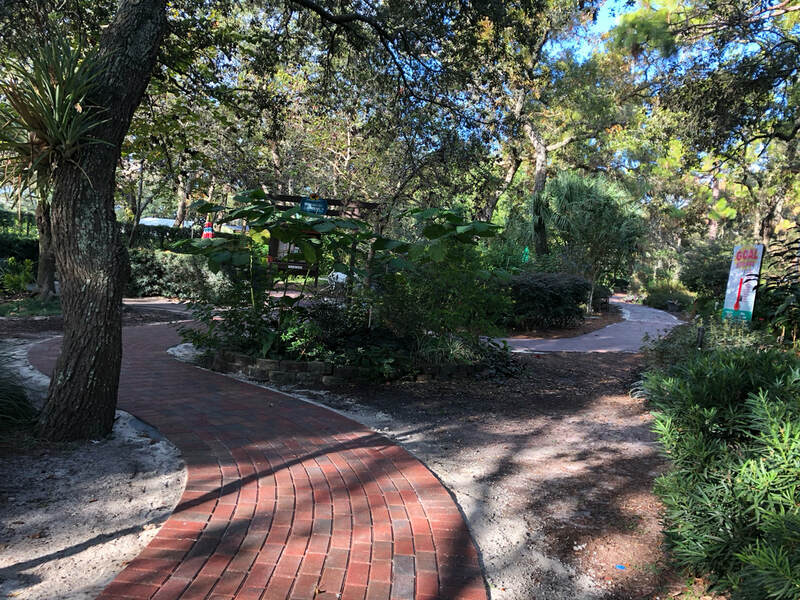 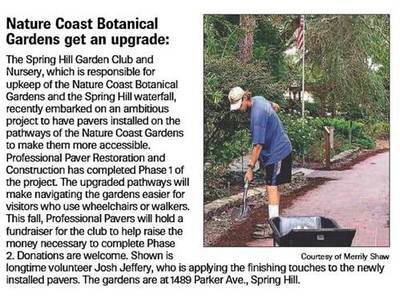 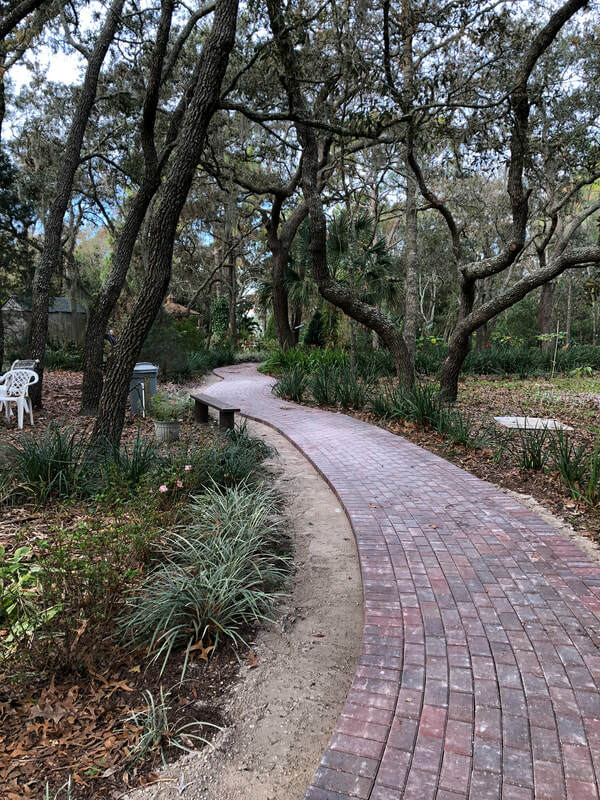 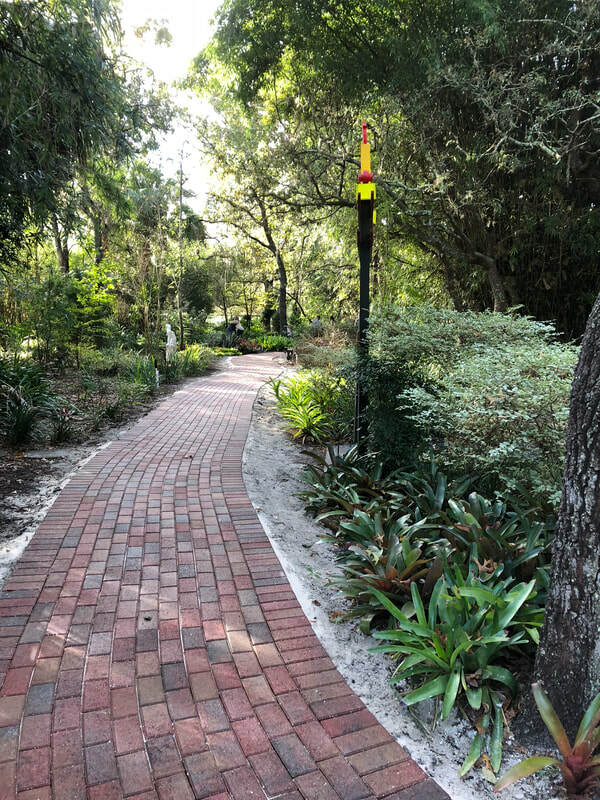 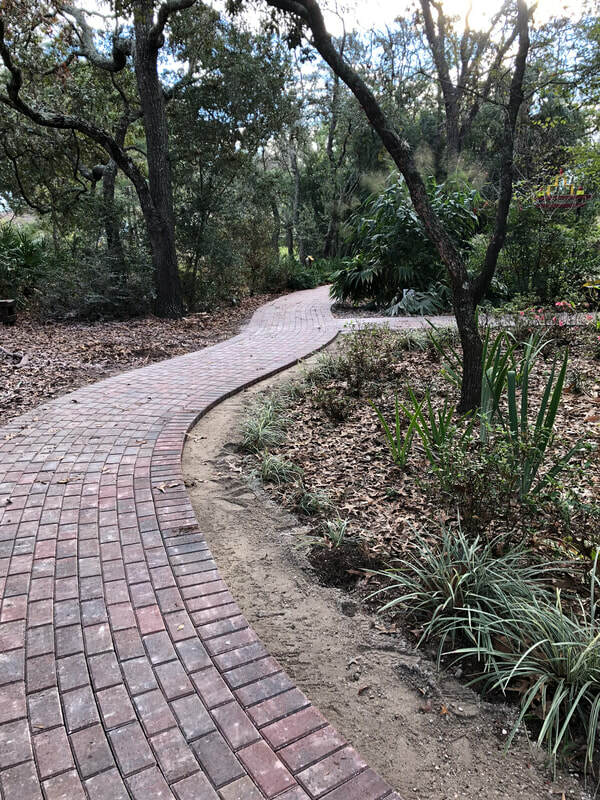 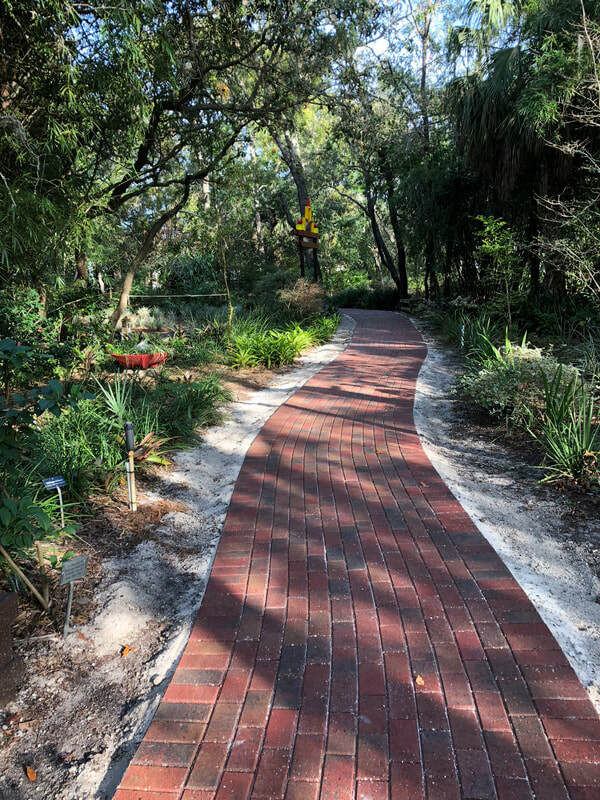 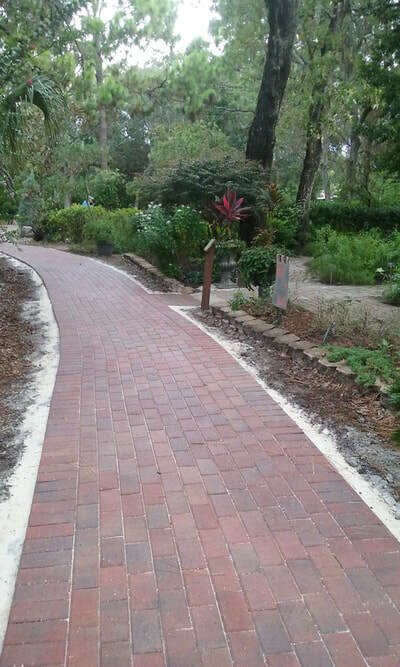 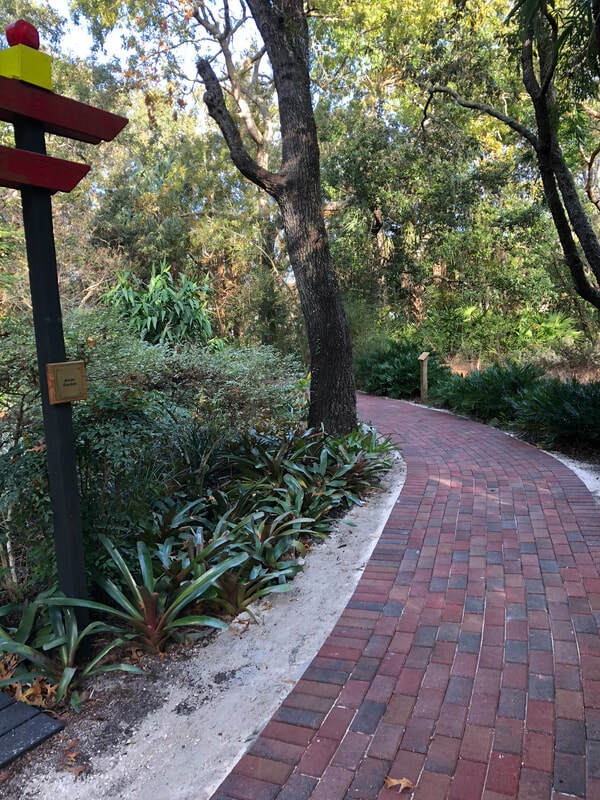 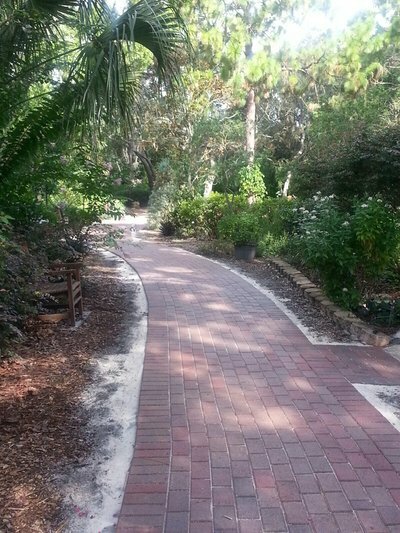 Help us finish the paved pathways in the gardens. 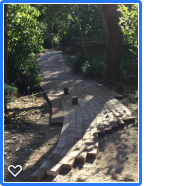 We will keep you updated on our progress in raising funds to finish the project. 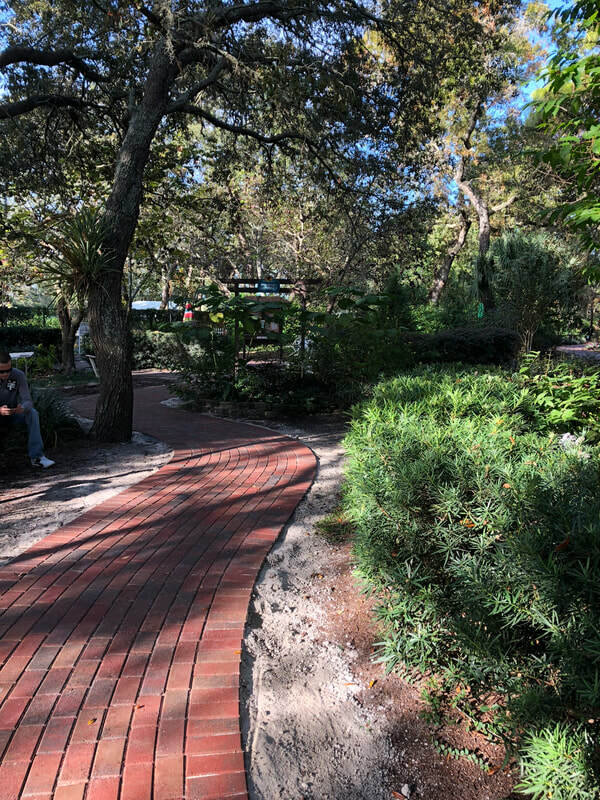 There is a donation box at the entrance to the gardens.